QUEENSLAND has posted some of its best ever NAPLAN results, but writing skills remain a major problem, especially for older students. Preliminary data from the National Assessment Plan - Literacy and Numeracy (NAPLAN) shows marked improvements in reading, spelling, numeracy and grammar throughout Queensland compared to when testing began in 2008. 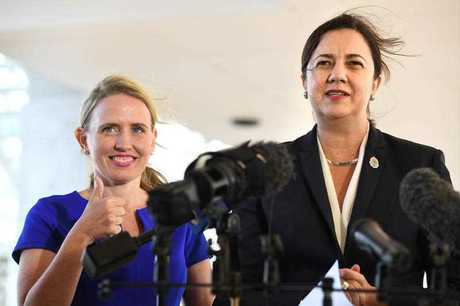 It has seen Queensland go from lagging in second last position to nipping at the heels of leader states New South Wales, Victoria and the ACT. NAPLAN is a nationwide annual assessment of all students in government and non-government schools in Years 3, 5, 7 and 9, covering reading, writing, spelling, grammar/punctuation and numeracy. This year the proportion of Queensland students achieving in the upper two bands was the highest the state has ever achieved, leading the national authority to name Queensland as one of the few states that should be happy with results. About 95 per cent of Queensland Year 3s achieved at or above the national minimum standards across all five test areas. Particularly strong results in Year 3 reading saw Queensland chalk up significant gains in the area compared to when testing started. Year 5 kids excelled in spelling and numeracy, posting the highest results yet for Queensland, as did Year 7 students in spelling. However, writing skills remain dire, particularly for older students, with Queensland Year 7 and Year 9 kids recording the lowest results on record for writing. In Year 9, about 21 per cent of kids were below the minimum national standard - the highest level since testing began in 2008. About 13.6 per cent of Queensland Year 7 kids are below the minimum for writing, the second highest rate in the country. Education Minister Kate Jones said the results were mostly encouraging and showed the focus on trying to lift kids into the upper bands was paying off. "One of the criticisms was we weren't doing enough to support brighter students. We are now seeing the work we have done in that area coming through in the data and it is very exciting," she said. "Since testing began in 2008, Queensland has improved in 17 out of 20 test areas. "What the results show is not only are we seeing more children meet the national minimum standards, but we're also seeing our students moving from the lower performance bands into the upper performance bands," she said. 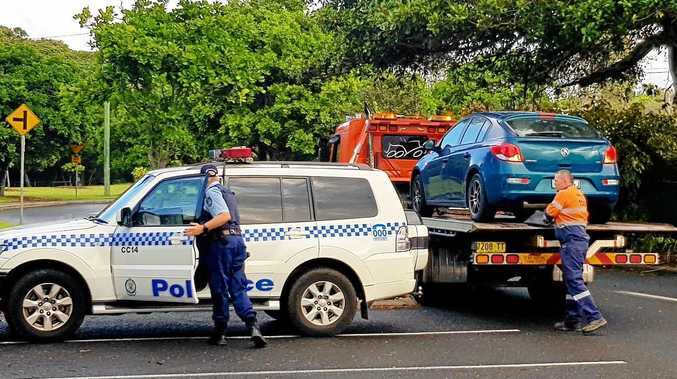 She said writing continued to be an issue across Australia, and Queensland was looking at ways to improve results in this area. A research report commissioned after poor NAPLAN writing results last year is due to be delivered in October, but interim findings have seen the Department of Education and Training make changes already. Assistant director-general of state schools (performance) Leanne Nixon said there was an "intensive statewide focus on writing", with the department working with teachers to clearly identify where writing skills exist in all the different subject areas. "There is no magic wand in this space. It is a hard grind every day by teachers and principals to make sure every child is getting what they need to learn and improve," she said. "By working with teachers to pinpoint where exactly writing skills come into play in every subject, that will flow on to students and we are looking forward to seeing next year's amazing results in writing." 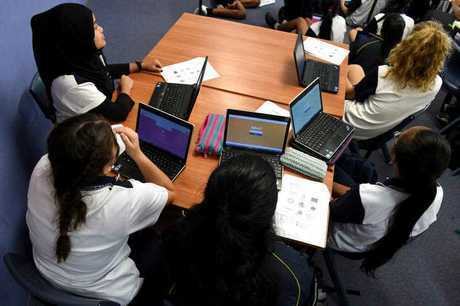 Australian Curriculum, Assessment and Reporting Authority chief executive Robert Randall said Queensland's improvements in general results were the best in country, only comparable to Western Australia, which also saw gains. PARENTS are continuing to ditch NAPLAN in record numbers, with the State Government now likely to fund a campaign to get them on board. Queensland withdrawal rates for all years were the highest in the country, fuelled by concerns over high-stakes testing pressures for youngsters. In 2011 about 1.6 per cent of Year 3 students were withdrawn from the tests but this year the figure was about 5 per cent. Year 5 withdrawal rates also rose to about 4.6 per cent, while Year 7 withdrawals remained the same at about 5 per cent. Year 9 withdrawal rates this year were about 6.5 per cent, slightly less than in 2016 but still higher than other states. State Education Minister Kate Jones said the Government would now have to look at spending money on a campaign to change the perception among parents. She said that would mean funding Parents and Citizens Associations across the state to run face-to-face meetings and information nights. 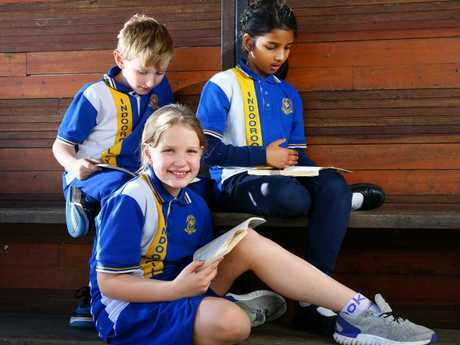 Independent Schools Queensland executive director David Robertson said it was important to have the most accurate picture of student learning achievement and progress at a state level. "Queensland has some work to do to inform and reassure parents about the purpose and benefits of NAPLAN," he said. One independent school that noticed the Year 3 trend on the ground was St Paul's Anglican School in Brisbane. Headmaster Dr Paul Browning said parents of younger kids in particular were increasingly worried about the stress of NAPLAN at a time when classroom time should be devoted to more creative pursuits. "A groundswell from the parent community to move away from these standardised tests is perhaps what we are seeing," he said. "At St Paul's we are also noticing parents are increasingly happy and confident in what schools are actually doing and the feedback we provide about how their child is going, so more parents feel they don't need NAPLAN to tell them that." He said NAPLAN was an important tool for schools but should not be the sole focus at the expense of other things such as entrepreneurial skills that were essential for the future. The youngest member of the school's entrepreneurs club Joel Melloy, 13, last year designed a device to anchor IV lines used in hospitals. He said the club was more useful than NAPLAN testing, which he still sat.